The department established as a structural unit of the Faculty of the primary school teachers training in 1981 from the Department of Pedagogy and methodology of primary education and was called “The department of methods of the languages teaching in primary school”. Due to the development of new philological, linguistic and methodological disciplines for non-philological faculty of the University and the Institute, as well as expanding the range of scientific interests of the faculty, from 2014 the department is called “Methodology and professional language culture department”. 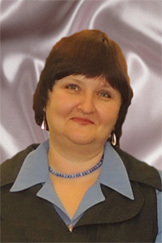 The first head was Associate Professor O. M. Kulyukin. Then the position was occupied by S. I. Huzhanov, P. F. Romanyuk, L. I. Bondarchuk, L. M. Minenko, V. Y. Pidhurska. 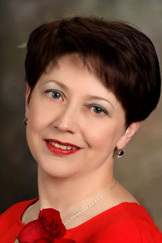 Over 10 years the department is headed by Doctor of Pedagogy, Professor K. Y. Klymova. Also here worked: Doctor of Pedagogic, Professor M. S. Vashulenko, Professor O. M. Melnychayko, M. D. Karp’yuk, G. T. Malkevych, E. H. Peleshok, senior lecturer L. A. Makovsky, N. D. Okhrimenko, T. O. Shevchuk, O. 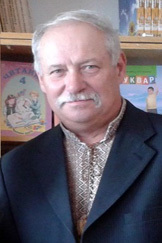 A. Levkovsky. Our staff focuses its methodological and scientific-educational activities on the development of modern linguistics and philology, the formation of communicative language competence and technical professional education of the future teachers — students qualification degrees “bachelor”, “specialist”, “master”. In 2015-2016 academic years the department has nine full-time employees (1 professor, 5 associate professors, 2 assistants, 1 senior assistants). 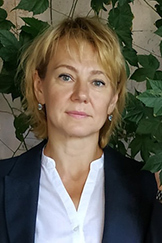 One of them is a Doctor of Pedagogy (K. Y. Klymova) 4 — has a degree in pedagogical sciences, theory and methods of teaching (Ukrainian language) — associate professor V. Y. Pidhurska, G. V. Pidluzhna, V. D. Usatyi, O. 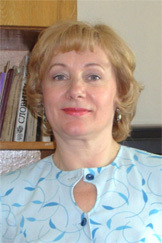 A. Gordienko, 1 — has a degree of Candidate of Philology (associate professor I. V. Golubovska). O. M. Maruschak and O. V. Chuprina are still work on their scientific papers. Department staff teaches 25 disciplines in the educational institute of pedagogy at the Institute of Foreign Languages, the socio-psychological, physical, mathematical, natural, historical and departments at the Faculty of Physical Education and Sports. In addition, teachers of the department are working in the center of postgraduate education and pre-university training. The educational process is carried out in accordance with the curriculum approved by the Ministry of Education and Science and Youth and Sport. In the offices of the Department (rm. 602, 604) are textbooks and manuals in the Ukrainian language and culture of speech, theory of literature, with methods of teaching Ukrainian language in primary school, dictionaries and reference books, formalized information stands "Modern Philology and Methodology","Ukrainian language — Past and Present“. There is a unique exterior exhibits and classroom-museum of ethnology “Ukrainian house”, where guided tours for visitors and students are organized. Library of the Department regularly updates its educational-methodical editions. Annually we publish more than 20 scientific articles. The department has sufficient teaching materials in an electronic form, which is used to work with students in computer classes. 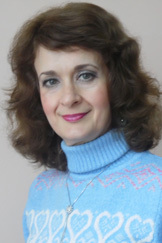 Teachers of faculty possess materials for distance learning (the authors — Professor K. Y. Klymova, associate I. V. Golubovska). The office proposes video lessons of the Ukrainian language and reading (conducted by Zhytomyr best teachers) and educational activities in Ukraine. Constantly updated exhibition stands exhibit modern scientific and methodical literature, collections of materials of annual national and regional faculty-student conferences and seminars conducted by the department. Members of the department are actively involved in the preparation of teaching materials to the methodological fairs at the university. Since 2012 the Department has been working in Experimental thematic center of educational and research activities. For the International Mother Language Day and the Day of Ukrainian literature the Department produced stands with the scientific content is a contest among students “Her Majesty literature”. A good tradition was the competition among the readers (professor K. Y. Klymova, associate professor I. V. Golubovska, O. A. Gordienko), St. Andrew’s evening sessions (associate professor V. Y. Pidhurska, V. D. Usatyi), Shevchenko days (Associate professor I. V. Golubovska, assistants O. M. Maruschak, O. V. Chuprina). The department organizes the first round of Ukrainian Student Olympiad on specialty “Primary education”. Scientific work with future Bachelor and Master degree students aims at forming the creativity of teachers, assistant professors. Every year students of the Institute of Pedagogy participate in the nationwide competition of scientific works. The Department has language and culture professional contracts with the scientific center of management education Zhytomyr City Council to implement joint scientific-methodological and pedagogical activities. The Department works with the language and literature teachers of humanitarian gymnasium number 23, number 25 of the Lyceum, College № 34, school № 8 in Zhytomyr. In 2015, the Department initiated the collaboration with the University of Zhytomyr Regional State TV and Radio Company, with the team of Zhytomyr Regional Academic Puppet Theatre, with Zhytomyr Regional Administration Department of Culture, Zhytomyr City House of Culture. The department teachers are trained in Vinnitsa State Pedagogical University, in Korostyshiv Teachers College named after Ivan Franko and Berdichev Teachers College. Faculty reviewed scientific monographs, teaching school teachers and college professors. Our professors are members of the academic councils, lecturers of the Centre of the Zhytomyr regional state administration. The Department maintains close ties with philological departments of Ternopil, Lviv, Kirovograd, Chernigov, Cherkassy, Lugansk, Vinnytsia, Kamenetz-Podolsk, Glukhovski and other universities; Laboratory of Elementary Education Pedagogy Institute of Pedagogical Sciences of Ukraine; Stylistic Department of Ukrainian Kyiv National Pedagogical University named after M. P. Dragomanova; National center “Small Academy of Sciences of Ukraine”. Good scientific and creative potential of teachers and staff created an atmosphere of mutual respect and hope for further successful development of the department, its professional language and culture development. Zhytomyr state University named after Ivan Franko (40, Velyka Berdychivska Str. Zhytomyr, Ukraine, 10008) laboratory building № 4, aud. 602. Job position, scientific degree: The head of the Department of Linguistic Techniques and Culture of Professional Language, Doctor of Sciences, professor, Exemplary Teacher of Ukraine. 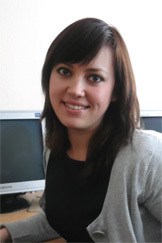 The director of “Experimental thematic centre of educational and research”. Scientific interests: the formation of the linguistic competence of the non-philologists, stage speech; the usage of the electronic resources in scientific research of future teachers. Disciplines: Ukrainian language (for professional purposes); Modern Ukrainian language. Language Culture and Practical Stylistics; Practical Stylistics of the Ukrainian language; Culture and technique of speech; Culture of speech and expressive reading; Stage Speech. Job position, scientific degree: Associate Professor of the Department of Linguistic Techniques and Culture of Professional Language, Candidate of Pedagogic Sciences. The deputy head of the department in educational work. Scientific interests: the formation of the communicative competence of the future primary school teachers. Disciplines: Ukrainian language (for professional purposes); Ukrainian studies; Modern Ukrainian language and its teaching technologies; Evaluating criteria of the educational achievement of the elementary school children. Job position, scientific degree: Associate Professor of the Department of Linguistic Techniques and Culture of Professional Language, Candidate of Pedagogic Sciences, Exemplary Teacher of Ukraine. 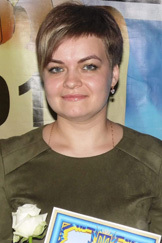 The Head of Ukrainian science club. Scientific interests: speech culture of the future primary school teachers. Disciplines: Ukrainian language (for professional purposes); Ukrainian studies; Methods of the linguistic analysis; Improving the spelling skills of the future professionals. Job position, scientific degree: Associate Professor of the Department of Linguistic Techniques and Culture of Professional Language, Candidate of Pedagogic Sciences, Exemplary Teacher of Ukraine. Leader of the problematic group of “Search”. Scientific interests: methodological problems of teaching school children. Disciplines: methods of teaching Ukrainian; urgent problems of speech development of younger schoolchildren; calligraphy; methods of teaching literary reading; modern Ukrainian language teaching its teaching technologies. Job position, scientific degree: Associate Professor of the Department of Linguistic Techniques and Culture of Professional Language, Candidate of Philological Sciences. 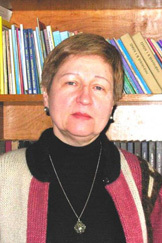 Leader of the problem group of “Linguistic analysis of folklore and literary texts”. Scientific interests: linguistic and literary analysis of the texts, history and theory of drama. Disciplines: Ukrainian language (for professional purposes); basics of literature; foreign language books for preschool children; Foreign literature for children; Literature for children; history of foreign and Ukrainian drama. Job position, scientific degree: Associate Professor of the Department of Linguistic Techniques and Culture of Professional Language, Candidate of Pedagogic Sciences. Director of the students and teaching drama club. Scientific interests: methods of teaching Ukrainian literature, drama, Ukrainian and Russian languages methodology in primary school, speech culture of future teachers. Disciplines: methods of teaching Russian language; methods of teaching Ukrainian language in kindergarten with Russian regime; Innovative technology in teaching the Ukrainian language in elementary school; Basics of rhetoric; Modern Russian language practice; Modern Russian language teaching and its technologies; Methods of the group work in performing arts. Job position, scientific degree: Assistant of the Department of Linguistic Techniques and Culture of Professional Language, a postgraduate. Biographer of the department. Scientific interests: professional education of the future teachers, the formation of the speech culture of the school children in the process of working with the children’s periodicals and art periodicals. Disciplines: Ukrainian language (for professional purposes); methods of teaching Ukrainian language; criteria for evaluating educational achievement of the elementary school students; Children’s Literature. Job position, scientific degree: Assistant of the Department of Linguistic Techniques and Culture of Professional Language, a postgraduate. Technical Editor of the scientific collections department. Scientific interests: methods of coherent speech of the schoolboys with the use of multimedia, innovative technologies in education. Disciplines: Ukrainian language (for professional purposes); methods of teaching Ukrainian language; calligraphy. Job position: Senior assistant of the Department of Linguistic Techniques and Culture of Professional Language.